Home » Blog & News » Vaginismus or Vestibulitis? It is common to group vaginismus and (vulvar) vestibulitis into one and it takes a proficient clinician to know the difference. 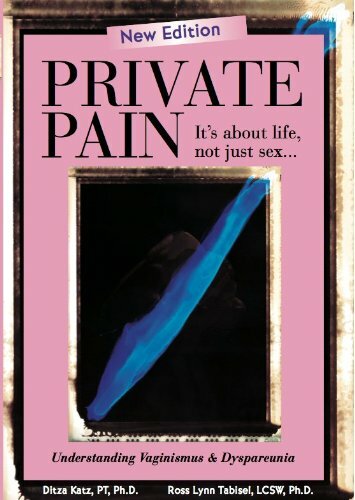 Vaginismus = unable to have vaginal penetration/s, or able to have them but with pain and distress. Vulvar vestibulitis = penetrations are usually available but the pain/burning/discomfort surrounding the area may complicate matters. Unfortunately, vaginismus remains an elusive diagnosis while (vulvar) vestibulitis has become the (quick) answer to vulvogenital problems. A ‘quick’ answer = the medical literature is rich with information about vulvar vestibulitis, including a clear list of interventions that can be rendered by most clinicians, which is not the case with vaginismus. I would disagree with the statement that vulvar vestibulitis is a quick answer. It’s not supposed to be since there’s a lot of other screening tests that need to be done first (infections etc.) I got my diagnosis relatively quick – about 9 months from the beginning of the quest for the right answer, to actually getting the answer. Of course my answer had vaginismus at the same time. So they can go together. But some of the other women I talk to had to wait years & years. Some are still waiting because for some reason there still seem to be a lot of doctors who are not familiar with these conditions. I don’t fully understand what you mean by “Quick” answer. If anything, on some of the support groups & health forums I’m in, vaginismus tends to be jumped on as a possibility first.